Was born and raised in Cincinnati, Ohio. She graduated from North College Hill High School in 2012 and went on to attend Wilberforce University to pursue her basketball career. She left that behind to enroll in the Dance Program at NKU School of the Arts. Five years later Valencia graduated with a Bachelors degree in Fine Arts. Valencia is a force with the power of her choreography, passion, and strong movement that allows her to convey compelling messages and stories to audiences. 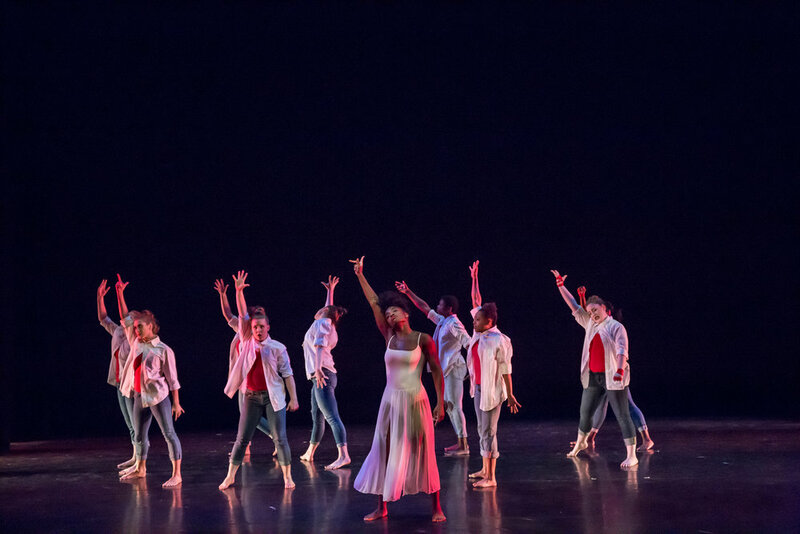 As part of the creative team, Valencia has paired with Emanuel and Elizabeth to enact their choreography centered around mourning the creation of racial categories. Valencia was the first to present this message to a large audience at Northern Kentucky University's Dance '17 showcase with her own choreographic work. Valencia talks about her work with The MCRC Project at the first screening. Please turn on closed captioning.